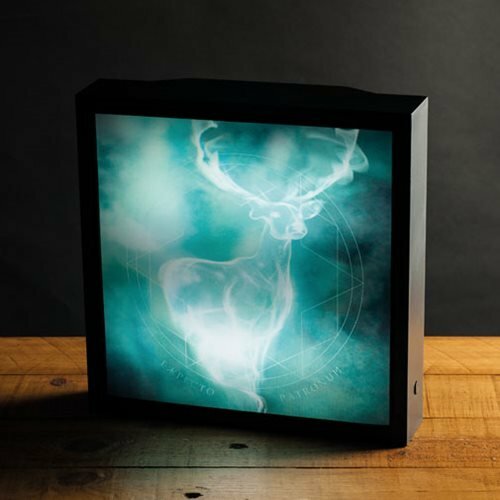 Keep your guardian close and feel safe at all times with this beautiful Harry Potter Patronus 3D Luminart Light-Up Artwork. 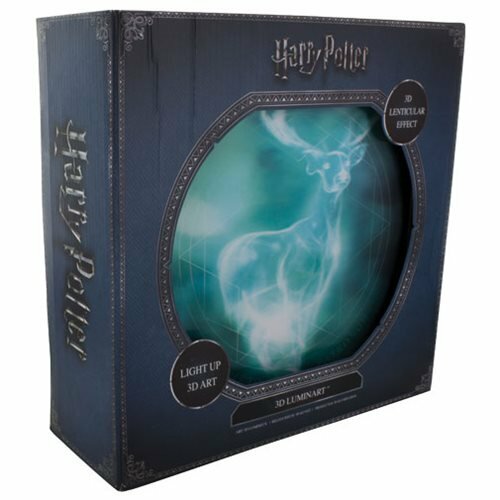 You can share the same stag Patronus as Harry Potter himself (and his father before him) when you display this lovely piece of luminary on your bedroom wall. This piece of artwork, which lights up when switched on, is lenticular and layered to create a pleasing illusion of movement and depth. 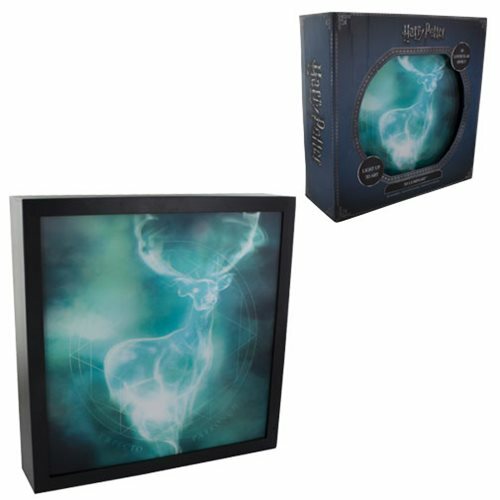 The Harry Potter Patronus 3D Luminart Light-Up Artwork is backlit with LEDs and is dual powered either by USB or batteries (not included). It can be free-standing or wall-mounted for display in your home or office. Makes a great gift for fans of the Harry Potter books and movies. Measures about 11-inches tall x 11-inches wide x 4-inches deep.